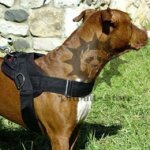 It often happens that the growing up Staffy starts to show aggression toward other dogs. This is a very serious problem that occurs in our time very often. Densely populated city with many owners of different breeds dogs on the background of a minimum number of grounds and parks intended for their walking give no possibility to relax on a walk. It often happens that the little trusting puppy is attacked by aggressive dog. 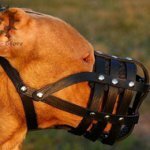 It is very difficult to protect you and your pet from this. 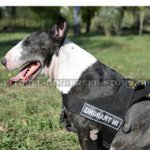 In this article you will learn about the causes of dog aggression towards other dogs and about methods of this problem correction. 1. The dog can be ill or sick. 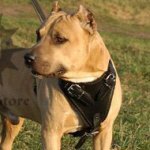 It will be difficult for owner to control their Stafford or Pitbull at the time of aggression if it is not trained to do commands on demand. 3. Unintentional encourage aggression by owner. Many people are trying to distract the dog from aggression with treatment, patting, games etc. Typically, after each fight aggression intensifies. 5. Lack of physical activity. 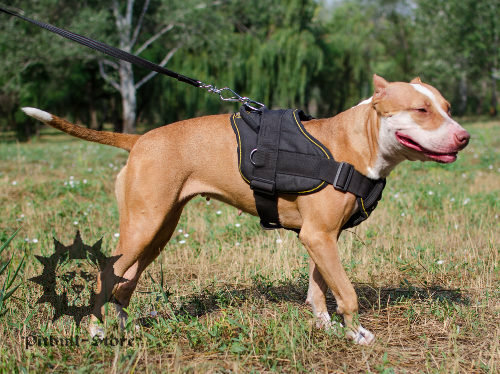 Many owners walk their Amstaff or Pitbull just 20-30 minutes a day. 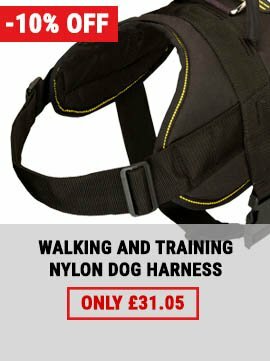 Dogs do not have the time to exercise. It starts to show aggression from excess energy. 6. Injuries in the past and the lack of socialization. For example, on a walk your pet was attacked and badly frightened by another dog. Many puppies are not allowed to communicate and play with other animals. 1. 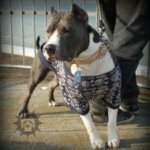 You should show your Staffy or Pitbull a veterinarian and examine it fully, even if it seems to you that the dog is healthy. 2. 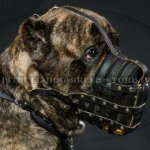 You should take an obedience course with your American Staffordshire Terrier, Pitbull or Staffy. 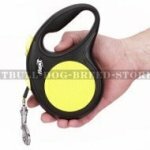 If you teach your dog to do the command on demand, it will be much easier for you to control it. 3. Stop patting, soothe, feed and try to play with your Stafford at the time of aggression. The dog sees such behaviour as encouraging. 4. 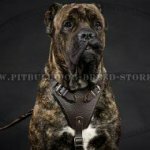 Before the complete problem correction walk your dog only on a strong reliable leash, as it may be dangerous to others, and each fight will just intensify aggression. 5. 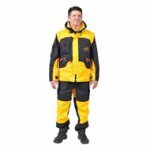 Try to increase duration of walking at least to 2 hours a day. 6. 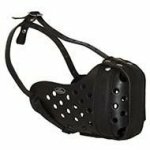 At the time of behaviour correction it is recommended to walk your Stafford only in the dog halti. 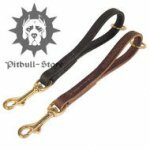 In the dog head harness your Pitbull or Amstaff cannot pull or jerk you forward, because the leash is attached to the ring on the muzzle. 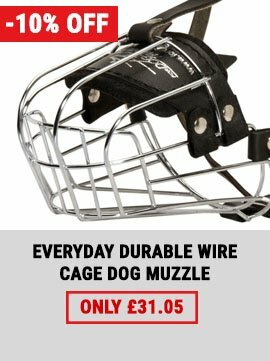 So you keep the dog's muzzle, not the neck. 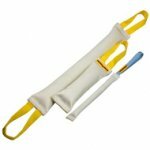 If the dog decides to pull you forward, its neck will turn to you and it will be uncomfortable for the dog to walk sideways! 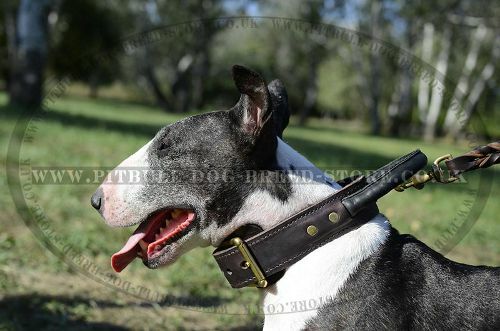 Control over the dog, which is worn the dog halti collar, will be much better and easier. You do not have to make a strong jerk to correct or punish the dog. 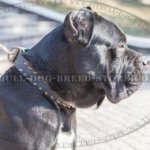 When it, for example, tries to jump on a person or throw at a dog, you need only a slight jerk with your hand, which at the same time will be quite perceptible for the dog! Sometimes just wearing a halti helps to cope with aggression completely. There are no dogs whose behaviour cannot be corrected if it is not connected with health. It’s all in your hands and depends on your patience, skills and desire. Remember, aggression is a very serious problem that can do harm and pain not only to you, but to everyone around. Apply little efforts and you will succeed. We can only wish you good luck. 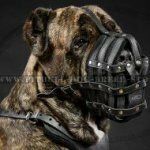 A dog trainer and dog behaviour correction expert Ed Frawley sees the solution to the problem of Stafford and Pitbull aggressive behaviour in education the owners and his or her dogs on pack hierarchy. The dogs were born knowing everything they need to know about it. But people were not. Aggressive behaviour needs to be quenched. 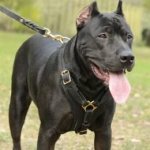 Chasing other dogs and showing aggression towards them means more to dogs with such problems than playing with a ball or a tug toy. You can’t redirect aggressive energy of these dogs to another activity by doing something else. 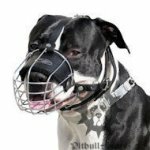 The easiest way to extinguish Stafford or Pitbull aggression is with a remote collar. But you need to learn how to use it carefully. 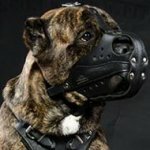 The level of stimulation is regulated to fit the each dog. 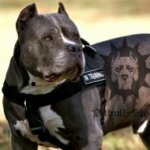 You need push the remote collar button at the instant when your Pitbull or Amstaff looks at another dog and not when it is all excited and nervous. When your dog understand how it works it will not have a desire to look at another dog. 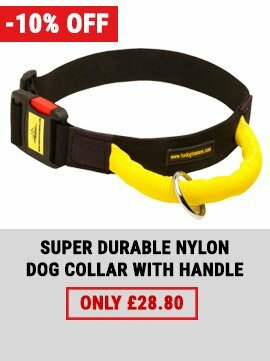 During the behaviour correction dogs should not go out without this collar on. You may not use it but you always have the possibility.